Today I heard a song that I thought was the Dixie Chicks with a guest male vocalist but was in fact Need You Now by Lady Antebellum. It was a song I had known about but hadn't heard, like so many new songs this year. Sometimes I read about a song on a blog but don't always listen to or watch the video. John at Pop Music Notes posted about the song many months ago here. I really think John is my music kindred spirit in America as I love so many songs he likes. I know my sister Emma likes good pop country too so this one is for you Emma. 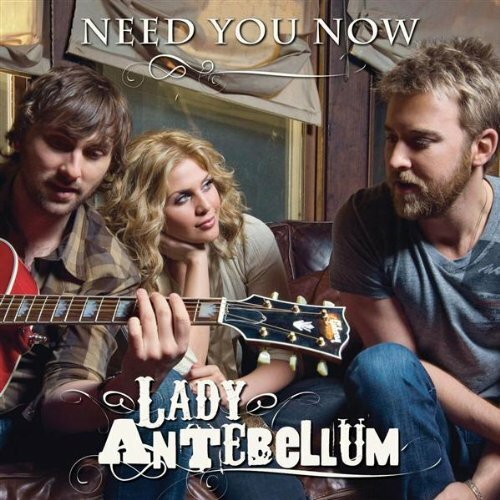 I think my legacy is quickly becoming sharing Lady Antebellum with the pop world. Glad you found something to share with your sister, and I completely agree about our musical tastes. David; i always knew that! i will have to check out the album too.